Minecraft: Story Mode - Episode 1 - The Order of the Stone is ranked in the 63rd percentile of games scored on OpenCritic. Minecraft: Story Mode's first episode gives a clear baseline for seeing where the plot is headed, but the questions it leaves are predominantly on a gameplay front — not the sort you want staying with players. Will the point-and-click elements take greater hold over story sequences that currently dominate? Will quick-time events continue to be a predictable response for every point of conflict? Will player actions feel more and more pointless than they already do? On the matter of how enticing the episode is at building interest in the one to follow, Episode 1 does its job...but not expertly. It's very tame in the gameplay department, and players will find it a shallow experience as a direct result of the contrived design choices. It's enough to put the entire project in jeopardy, ultimately making this introduction a fragile start for the five-part series. There's an echo of this sentiment in the sweetly childish tones of "Minecraft: Story Mode," a game that uses the mimetic architecture of storytelling to produce nodes of contemplation and self-inquiry. It's a subtle and sweet work made with an awareness that the best part of a journey comes when you realize that you are the story. Minecraft: Story Mode's first chapter proves that the Telltale style of storytelling can fit in any universe, as it's a delightful romp through the blocky world of Minecraft. While putting a story to Minecraft might seem counterintuitive to the core game's design, the team at Telltale has proven they can make a great story out of anything. And yes, that now includes Minecraft. If Episode 1 is of any indication, Minecraft: Story Mode is going to be a journey worth completing. A no-brainer purchase for fans of both Minecraft and Telltale. Those who prefer Telltale's more complex and mature works may find this title a bit lacking, but the exciting story, quality writing, and talented voice cast make this a hard game to dislike. It's too early to call at the moment, but Minecraft: Story Mode looks set to be shaping up to be another fine effort from the folks at Telltale Games. Combining their narrative excellence with the insanely popular Minecraft franchise has created a unique beast all of its own that takes the best elements from both parties in order to create an engaging and, above all, fun playing experience. While I have come to love Telltale's more grown-up titles, 'The Order of the Stone' is fun, wholesome entertainment in its own right. There are plenty of jokes for all ages, along with a healthy dose of slapstick comedy and a few puzzles and quick-time events to spice things up. Perhaps the best thing I can say about it, other than I'm looking forward to the next episode, is that it dearly made me want to fire up my own 'Minecraft' world and get to building. With the first installment of Minecraft: Story Mode, Telltale stays faithful to the popular source material while delivering another enjoyable adventure. All told, Minecraft: Story Mode is a wild ride from start to finish, telling a riveting tale filled with plot twists and interesting characters. That being said, not everyone will be impressed with the fact that it's essentially an interactive movie. If you're the type of gamer who skips cutscenes and prefers satisfying gameplay, steer clear and look elsewhere for your gaming fix. If you're the type of gamer who appreciates listening to a good story (and don't mind stumping up the cash to hear the whole thing), then we would highly recommend this. Minecraft: Story Mode does an excellent job of breathing life into the somewhat anonymous world of Minecraft; this is one tale you'll want to hear. If you've been looking for an official story set place in the Minecraft universe, this is as official as it's going to get. There's no denying the charm of the world that Story Mode takes place in, especially with the number of in-jokes that are thrown fans' ways. The story may not be particularly deep, but it is age-appropriate and will make for a great time to be shared with the younger Minecraft fans out there (and there are millions of them!). However, even for young, attention-deficit minds, The Order of the Stone feels like it ends a bit prematurely. If you or your child are fans of Minecraft, then this is an easy buy. Minecraft: Story Mode is off to a good start, and despite a story-less canvas and only in-game references to draw from, developer Telltale has crafted something promising. This episode is an excellent introduction as it just seems long enough. It does not seem crammed or forced, either. Everything about the first episode is extremely entertaining, and it is certainly worth the price of admission. Telltale Games has done it again with Minecraft: Story Mode. I'm still not entirely sure how the developer managed to make an open world building game into such a fun and compelling story-based adventure but it certainly has. Minecraft: Story Mode – Episode One is a promising start to Telltale's latest venture. As someone with only a passing knowledge of Minecraft, the story and characters were interesting enough to pull me in, and the manner in which the first episode ends suggests that there's some fairly major diverging paths to be resolved in Episode Two. It's nothing particularly new, as Telltale games go, but I think that playing with a more family-friendly property has been good for the studio. Story Mode is a solid attempt at giving all new meaning to creativity in Minecraft. The plot is set and it looks to be both interesting and fun. I'm looking forward to continuing the story Telltale has crafted and seeing everything they have in store for the game. The characters and story is easy to get into, and the chapter hangs on an interesting note that sets the basis for the rest of the chapters. The voice acting is really well done, and is very faithful to the source material. It's a bit easier than other Telltale games out there and rather quick to finish, but the experience I've had with the game so far is a very enjoyable one. Order of the Stone continues Telltale's run of strong opening episodes to their series. The drawbacks are mainly down to a weak supporting cast and that air of familiarity that gets more fetid with each passing Telltale series. Telltale recalibrates with episode one of Minecraft: Story Mode, returning to younger audiences with a story that's charming and accessible, and opening a surprisingly nuanced conversation with its players. Older audiences, though, may find its path a bit too well-trod. A fun start, but there's a lot here to build on. The story presented in this first chapter isn't the most engaging, but the writing, coupled with the detail makes it all come together. As is usual though, I find it hard to recommend until all of its episodes are released and we can judge it as a whole - but this first episode is indeed promising, laying the groundwork for what should be a grand adventure. Those looking for a deep story or compelling adventure gameplay may not find it, but there's a lot to love in this first episode. It's just not for everyone. 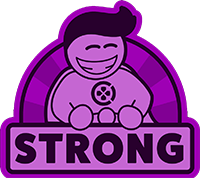 If you are someone who is really into Minecraft and understand a lot of the elements of the game, you are going to have a much better experience than someone who doesn't know a lot about the game. Even just seeing things like creepers, spiders, skeletons and zombies felt pretty cool just because I knew what they were and I could relate to how Jesse would feel in the game. A charming good time with some stressful, but not agonizingly life-threatening choices - Story Mode brings plot to the sandbox at last. [T]he story seems more like a prologue than a first episode. I believe it really could have been combined with whatever comes next into a longer first chapter, although perhaps I've been spoiled by the constant activity in the narrative-heavy choice-based Life Is Strange. 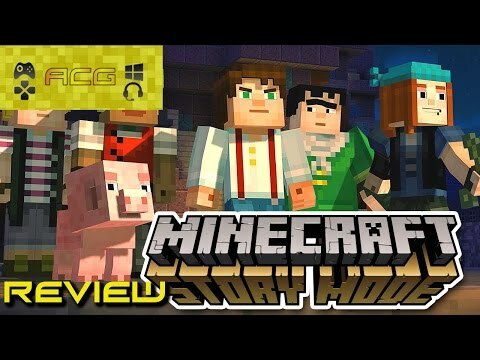 The story for the first episode of Minecraft: Story Mode is a little familiar, but it's solid and full of fun references to Minecraft lore. The puzzles are lacking, however. Intended for kids who love Minecraft, or adults who really love Minecraft. Frustratingly, the first 10-15 minutes of Minecraft: Story Mode - Episode 1: The Order of the Stone is extremely dull. It's trying to set the scene but just very little happens to the point of it almost being completely off-putting. It then goes from 0-100 in the space of roughly five minutes, and from that moment onwards, the player will be hooked and craving more. Bring on Episode 2! Fun and whimsical, Minecraft Story Mode's first episode is sure to entertain fans of Mojang's original breakout game. It won't be for folks who prefer Telltale's more mature fare. But if you like Telltale's storytelling approach and enjoy Minecraft or Lego games, you'll want to add the The Order of the Stone to your crafting table. Minecraft: Story Mode - Episode 1: Order of the Stone is a lacklustre start to Telltale's latest series. While it's certainly not bad, it's not exactly good either. A great performance from Patton Oswalt and some fun sequences aren't enough to cancel out the wonky pacing and bland narrative, while the ensemble cast mostly falls flat. This instalment is inoffensive enough, but it never really provides enough for you to latch on to. There's still plenty more to come, of course, but the jury's still out. Story Mode – Episode 1 hits or misses with its characters and presents a relatively anemic plot for later episodes to build on; less immediately captivating than its predecessors, yes, but Telltale has set out to find the perfect blend of action and heart – they haven't found it yet – but in later episodes they just might.